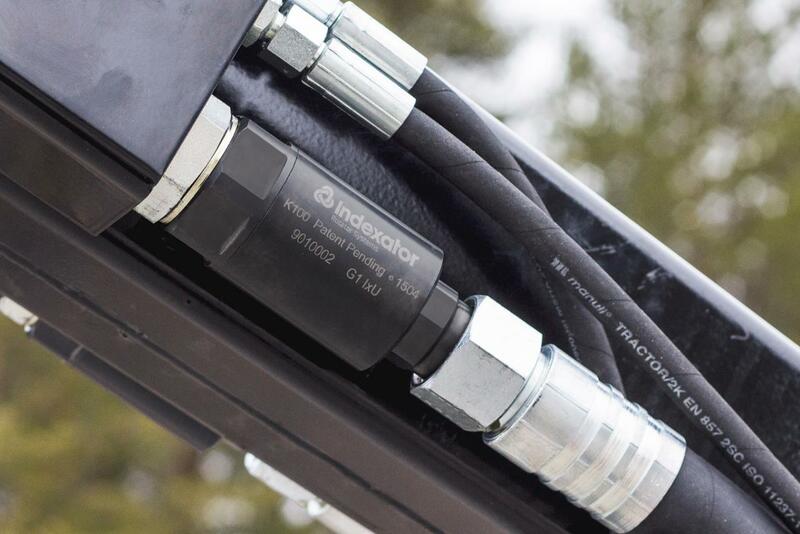 Indexator’s new generation of hose swivels – the K100. With its ball-free design the swivel withstands heavy side loads and peak pressure while eliminating the problem with twisting hoses. Hydraulic hoses are sensitive for twisting and only a few degrees of twist can reduce hose life by up to 90 %. The elimination of twists increases hydraulic hose life time substantially. The ball-less design makes the K100-swivel suitable for applications with heavy side loads, high pulling forces, and high pressure and flow. Especially for extreme applications such as forestry harvester and processors heads, and felling attachments. The modular construction also provides major customization opportunities with many different connection and seal principles. Due to few components the maintenance of the swivels is easy. The compact design with a small external diameter is also well suited where installation space is limited.